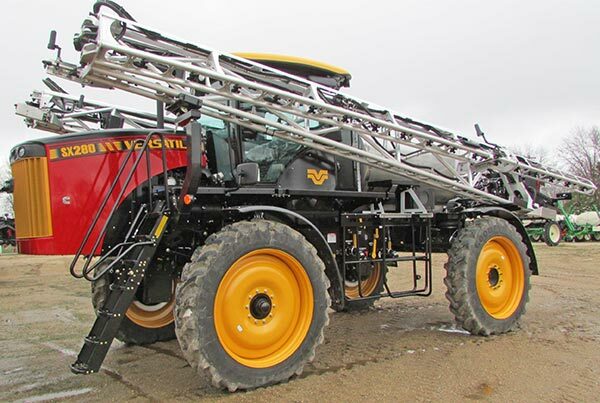 Specialty Enterprises is the largest manufacturer of aluminum sprayer booms and spray boom accessories in North America, serving the OEM, dealer/distributor, and retail markets. 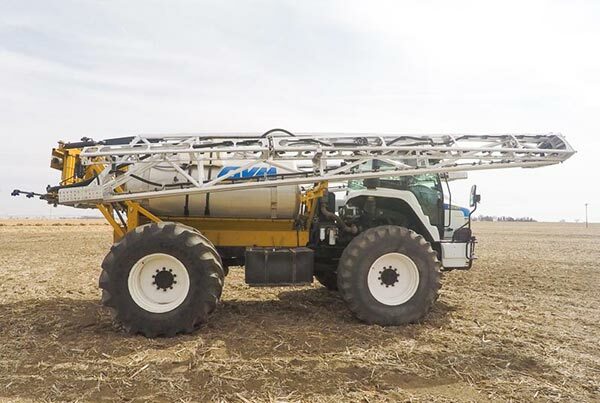 Developed over a span of nearly 2 years, the Millennium aluminum spray boom is without question the most durable and innovative line of sprayer booms on the market today. 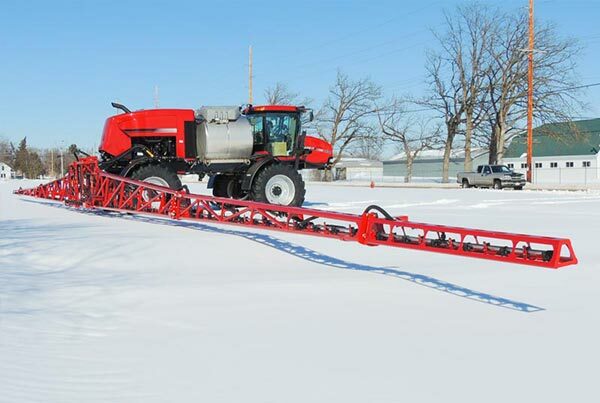 Millennium spray booms are offered in 90', 120', and 132' lengths with additional custom lengths available upon request. 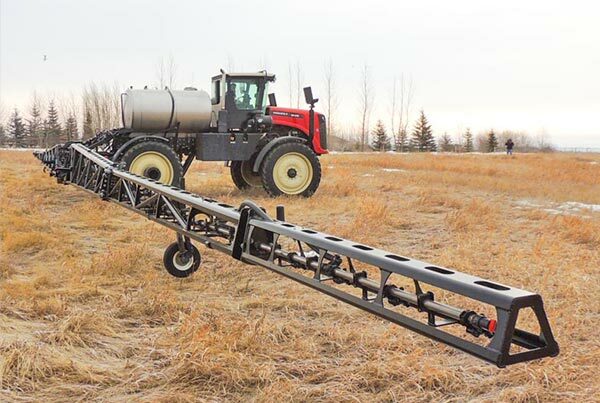 The Millennium agricultural spray boom is a giant leap forward in aluminum sprayer boom design. 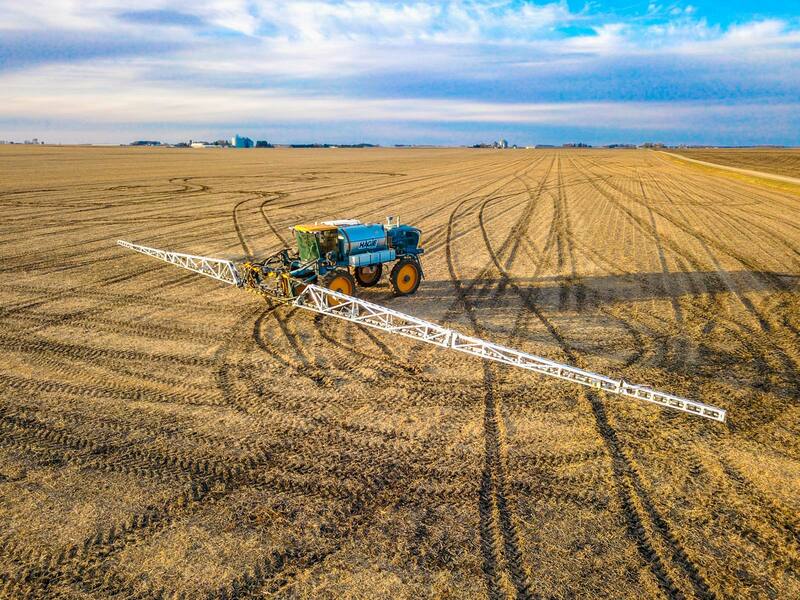 The unique Millennium design was engineered from the ground up, using feedback from farmers across the country, to provide consumers with a spray boom that offers superior durability and efficiency in a platform that is also lightweight, low maintenance, and adaptable to virtually any situation. The Millennium aluminum sprayer boom line is currently offered in standard 120’ and 132’ models, with smaller span models likely to be introduced in the near future. Nozzle body spacing is available in virtually any desired configuration. 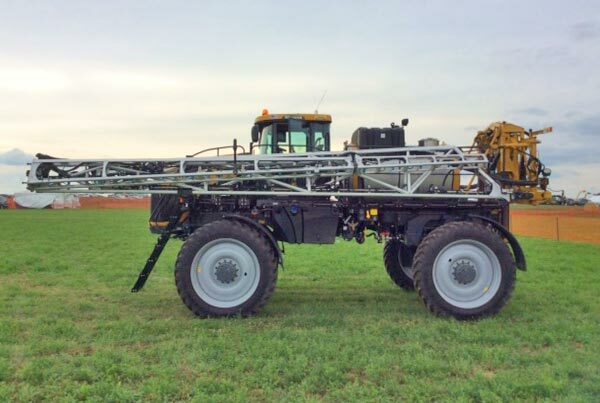 The Millennium line is adaptable to most any make and model of sprayer, including Apache, Buhler-Versatile, Case, Hagie, GVM, John Deere, Miller Nitro, Oxbo, RBR, and RoGator. 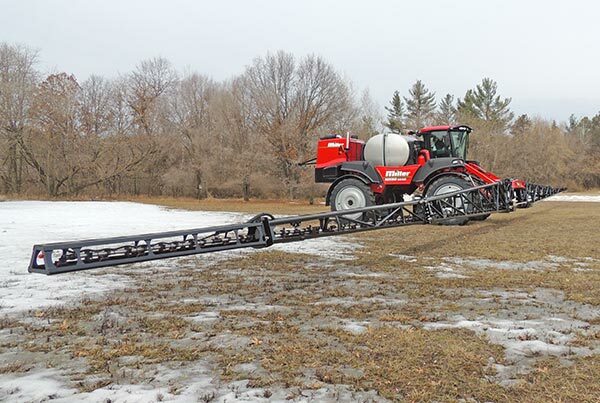 The Millennium spray boom comes with a standard aluminum finish, while steel components are professionally primed and powder-coated. In addition, an optional powder-coat prime and super durable top-coat finish is available in virtually any color to match the application. All of our hardware has been chosen to provide superior strength and resistance to galvanic corrosion. Specialty Enterprises offers accessories and ancillary services for all of our aluminum sprayer booms lines, including: boom cradles, swing arms (aka attachment brackets), nitrogen accumulators, center racks (aka transoms), bracketry, hydraulic kits and plumbing supplies including Wilger, Hypro and Tee-Jet. In addition, Specialty is a fully integrated supplier skilled at plumbing and installation, as well as field service support. The Millennium line is covered by a two-year limited warranty covering both material defects and workmanship. These booms are lightweight and fold quickly and easily. 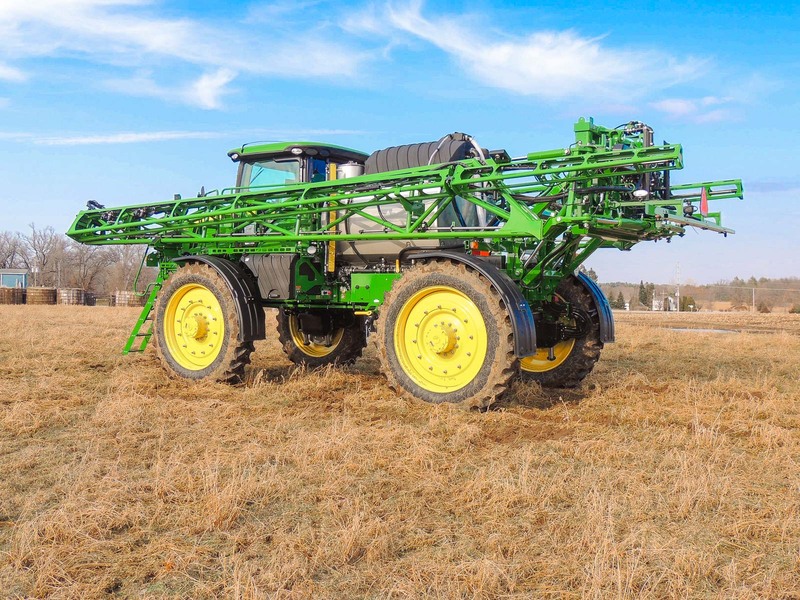 I have sprayed over 200,000 Acres in two years and never had a failure. I would never go back to the old heavy steel booms. Their quality and customer service are top notch! Why participate? Click here to learn more.